wars of the United States of America. 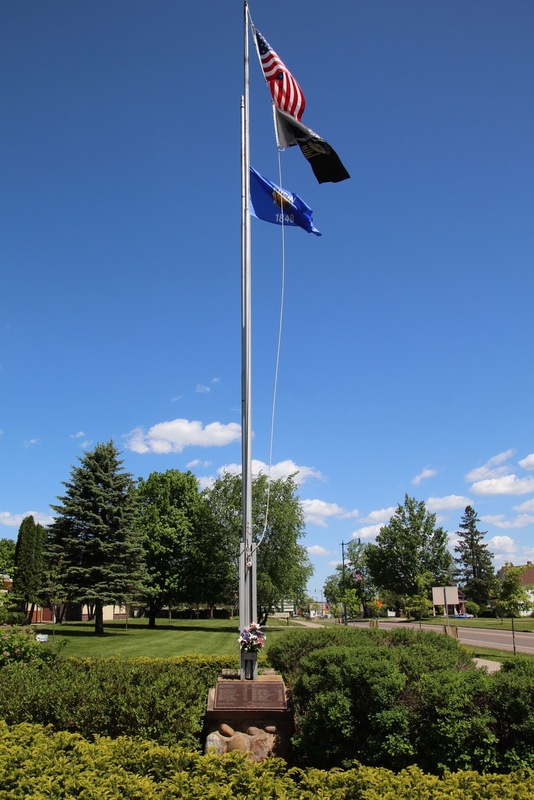 The memorial is located at the Old Abe Veterans Memorial, on the grounds of the Park Falls Chamber of Commerce, and is accessible from southbound South 4th Avenue / Wisconsin Highway 13, at its intersection with 4th Street South, at or near 400 4th Street South, Park Falls, Wisconsin 54552. 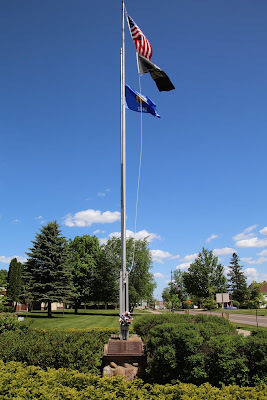 The markers are at the base of the flagpole. The memorial is located at the Old Abe Veterans Memorial.